Although Ponta Delgada is not a large city, it has several beautiful gardens that are open to the public. These feature exotic plants, flowering gardens and nicely landscaped grounds. 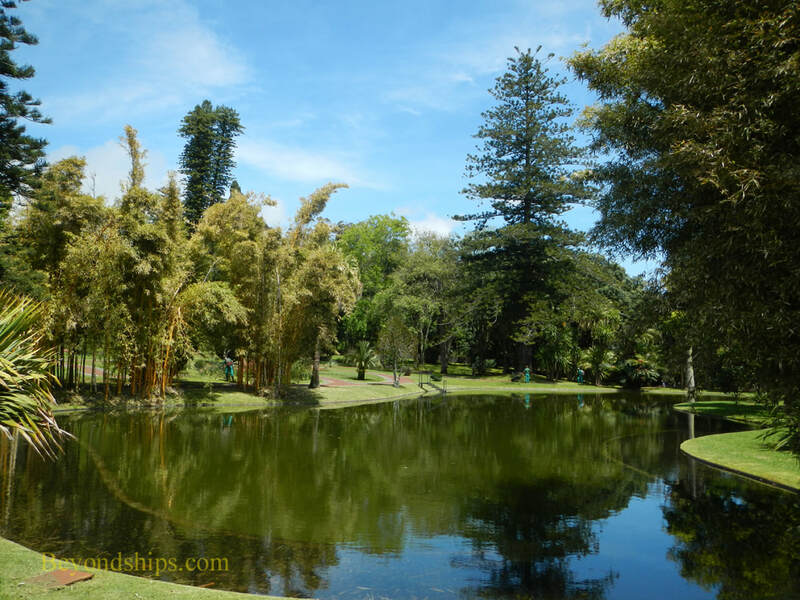 Jardim Antonio Borges is a large park (2.5 hectacres) not far from the center of town. Antonio Borges was a 19th century businessman, politcian and amateur botanist. He created a private garden parts of which are park-like in the English style and parts more tropical with exotic species. It is now a public garden maintained by the muncipality. 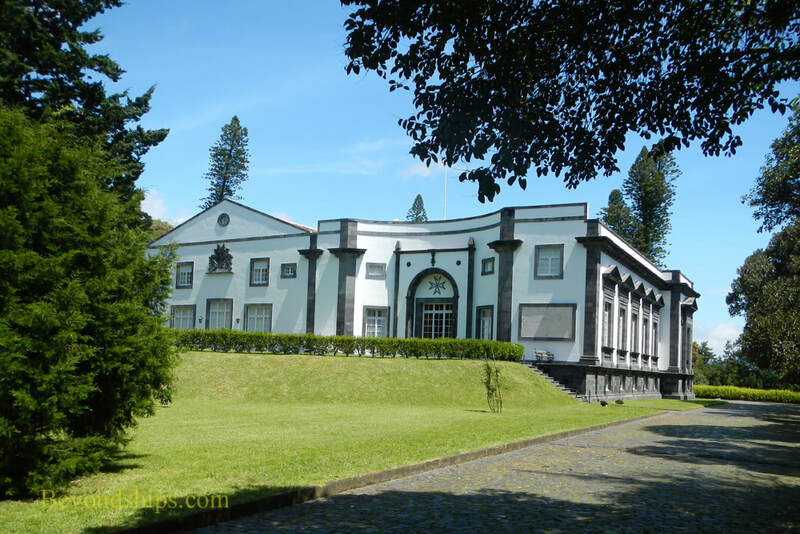 The Sant'Ana Palace is the seat of the Presidency of the Autonomous Region of the Azores. Its neo-classical French mansion was once the home of the Correia family who commissioned the English architect David Morcatta to build it in 1846. Surrounding the house are gardens designed by Peter Wallace and Francois Gabriel. Its features include a small pond as well as tall trees. In back of the house is a garden with beds of roses and other flowers. (Permission is now needed to visit the palace and its grounds). 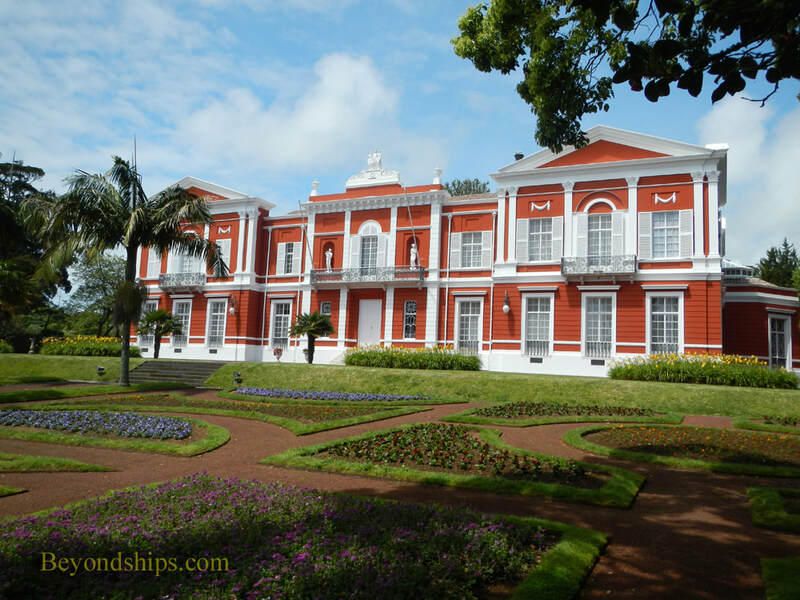 Next to the Presidential Palace is the Parque Jose do Canto. In the 19th century, Jose do Canto was a wealthy businessman with a keen intetrest in botony. In addition to species indigenous to the Azores, he imported exotic plants from the Americas, Asia and Australia to populate his garden. 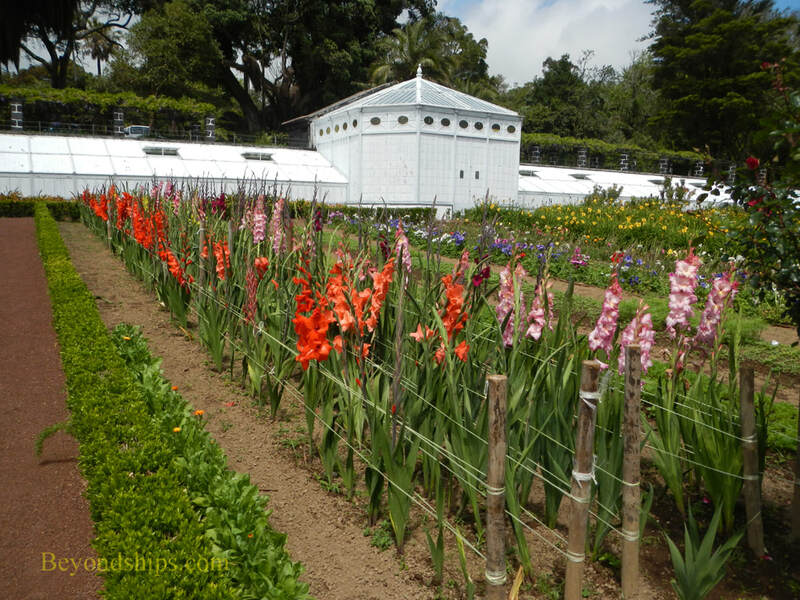 Today, the garden is one of the largest botanical gardens in the Azores encompassing five hectacres. 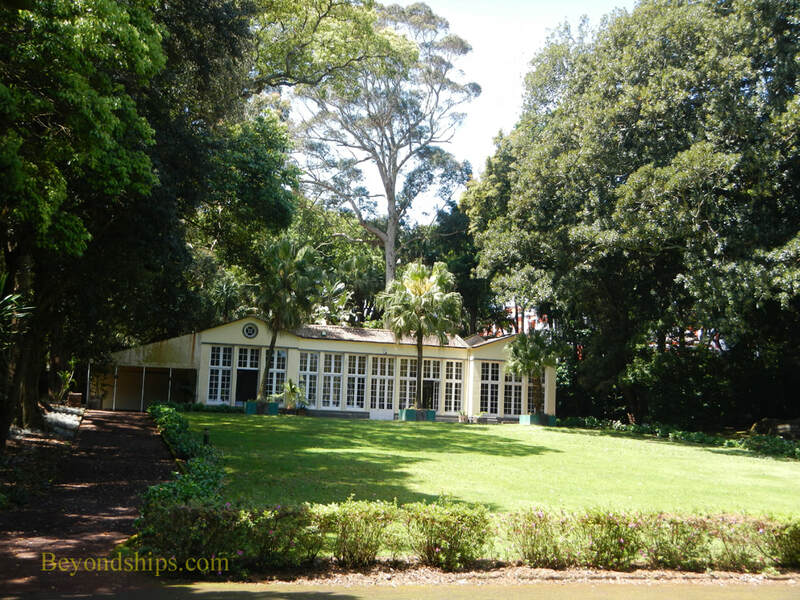 Designed in the English style, it has monumental trees and park-like vistas. There are 6,000 kinds of trees and shrubs. On the grounds are the 19th century mansion, a glass house conservatory and a chapel. The University of the Azores' campus has beautifully landscaped grounds that include a water feature as well as various exotic plants. 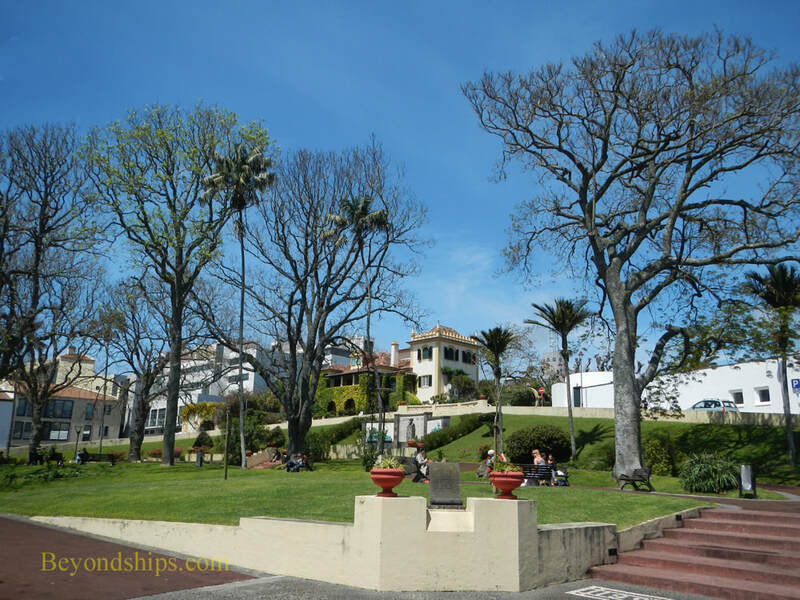 Jardim Anteror do Quental is a small park that honors one of the leading figures in 19th century Portuguese literature who was born on Sao Miguel. In addition to a monument to the writer, the park has features designed in art deco style. ​Above: Jardim Anteror do Quental. Right: The garden at the University of the Azores. ​Below: The grounds of the Presidential Palace. Above: The main house in Parque Jose do Canto. Below: Parque Jose do Canto's glass house.